Carol Burris is the Executive Director of the Network for Public Education. She was the principal of South Side High School in Rockville Centre, NY from 2000-2015. She received her doctorate from Columbia University, and her dissertation, which studied her district’s detracking reform in math, received the 2003 National Association of Secondary Schools’ Principals Middle Level Dissertation of the Year Award. In 2010, she was named Educator of the Year by the School Administrators Association of New York State (SAANYS), and in 2013, she was named SAANYS New York State High School Principal of the Year. Dr. Burris is the coauthor of Detracking for Excellence and Equity; Opening the Common Core: How to Bring ALL Students to College and Career Readiness (2012, Corwin Press); and On the Same Track: How Schools Can Join the 21st Century Struggle against Resegregation. 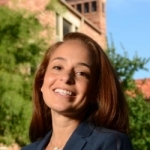 Hannah Fletcher is Director of Communications and Alumni Engagement at the University of Colorado Boulder School of Education, a nationally recognized leader in advancing evidence-based policy and practice. She holds an BA in journalism and mass communications from Iowa State University The proud daughter and granddaughter of public school teachers, Hannah believes in supporting teachers as professionals and championing healthy learning environments designed to engage all students. Kevin G. Welner is a professor at the University of Colorado Boulder, School of Education, specializing in educational policy and law. He is Director of the National Education Policy Center (NEPC). Welner's present research examines the use and misuse of research in policymaking and explores various issues concerning the intersection between education rights litigation and educational opportunity scholarship. His research has also explored detracking, small-school reform, tuition-tax-credit vouchers, and the change process associated with equity-minded reform efforts – reforms aimed at benefiting those who hold less powerful school and community positions. Welner has received the Rockefeller Foundation's Bellagio Residency and the Post-Doctoral Fellowship awarded by the National Academy of Education and the Spencer Foundation. 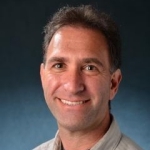 He has also been recognized by the American Educational Research Association as a Fellow and been given its Early Career Award and Palmer O. Johnson Award (best article). He earned both his J.D. and Ph.D. from UCLA. Sarah LaCour is a Ph.D. Candidate in the School of Education at the University of Colorado - Boulder. She holds a B.A. in Biological Sciences and French from the University of Southern California, a J.D. from Baylor University, and an M.A. in Curriculum and Teaching from Teachers College - Columbia University. Her research interests lie in school desegregation and policies surrounding parent and student choice. 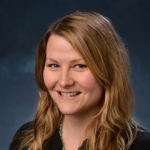 As a graduate research assistant Sarah has also worked on an evaluation of the effects of Denver's Professional Compensation system on teacher retention and an investigation of the use of student learning objectives in a Southeastern school district. Sarah draws upon experiences both as a classroom teacher and as a practicing litigator in her approach to policy. 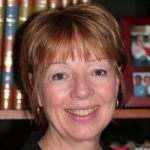 Linda Molner Kelley is the former Assistant Dean of Teacher Education and Partnerships and Director for Outreach and Engagement at the University of Colorado Boulder. In those and her current consulting roles, she has developed numerous K-16 and community programs designed to strengthen learning opportunities for students and teachers in diverse settings. 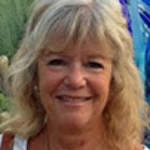 A former high school teacher and administrator in a Denver school district, she is a champion of high quality induction programs for novice teachers, research-based professional development opportunities for practicing teachers, and the creation of mutually beneficial partnerships among higher education, K-12 schools, and communities. 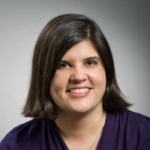 Michelle Renée Valladares is Associate Director of the National Education Policy Center. She leads and partners in a series of projects that aim to increase educational opportunities for all students in our nation’s education systems. This includes serving as PI of a Ford Foundation funded project to create a research hub to support the education justice movement, and as a member of the Schools of Opportunity project leadership and the Education Justice Network. Michelle also supports the development and implementation of equitable education policies by conducting original research on indicator systems, parent and family engagement, and education organizing. Michelle has a PhD in education from the University of California, Los Angeles. She serves on the advisory board of the Family Leadership Design Collaborative, and is a member of AERA’s Exemplary Contributions to Practice Engaged Research Award Committee. Prior to joining NEPC, Michelle was Associate Director and Assistant Clinical Professor at Brown University’s Annenberg Institute for School Reform (AISR). At AISR, she led the Time for Equity Indicators Project, which developed and supports the use of a comprehensive set of indicators that measure how expanded time and learning opportunities can transform the lives of students, the structure of schools, and the power of communities. Michelle was a postdoctoral fellow at UCLA’s Institute for Democracy, Education, and Access and worked as a legislative assistant to then Congressman Tom Udall. 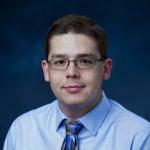 Adam York is a Research Associate with the National Education Policy Center. He serves as project manager for the Schools of Opportunity project and contributes to several other NEPC public scholarship projects. His research interests include civic learning and human development, critical media literacies, and creative opportunities for young people. He earned his PhD in education and learning sciences from the University of Colorado Boulder. In addition to working at NEPC he teachers undergraduate level courses for the CU Boulder School of Education. Prior to NEPC he worked in the nonprofit sector as a program director and grant writer. He was also an instructor at University of Colorado Denver, teaching masters level courses in educational foundations and policy, human development, and research methods. Adam completed training in community counseling at Lewis and Clark College. 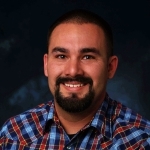 His research experience includes work with Dr. Ben Kirshner, Dr. Shelley Zion, and Dr. Carlos Hipolito-Delgado on the Critical Civic Inquiry project and with Dr. William Penuel on the Longitudinal Study of Connected Learning.